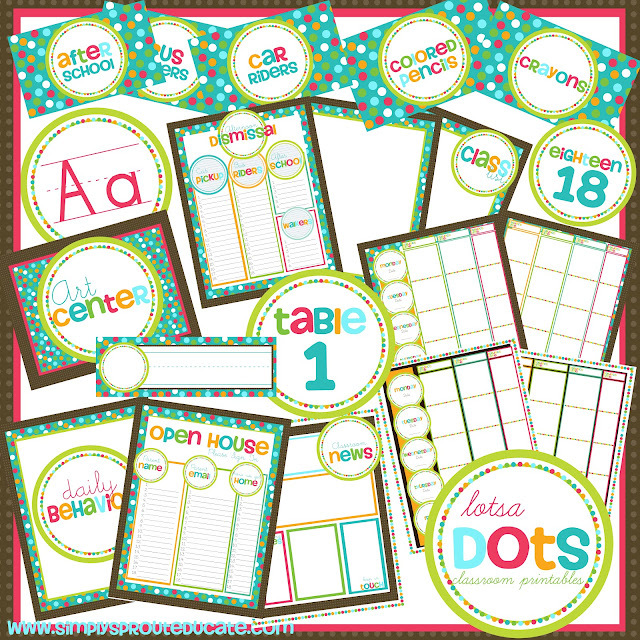 Lotsa Dots has us going crazy over here at Simply Sprout! This is our newest classroom creation. We just love the burst of color and the whimsy of the polka dots. 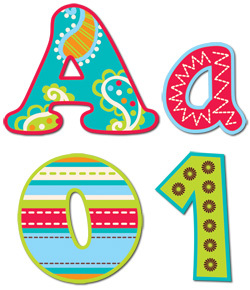 This adorable colorful set is bright and cheery and is perfect for any classroom. This set has everything you need to get started for the beginning of the school year. This set includes printable pages you can print on your color printer, cut, laminate and watch your classroom come to life with fun! Colorful pom poms are all the rage this school year. They are so inexpensive and fun to make and will definitely brighten up even the gloomiest of rooms. This is one of my all time favorite classroom kits! A tech tip for you! If you are purchasing this item from our online store you will be receiving it as a pdf to preserve original content. However you most likely will want to make this kit your own by typing your newsletters etc on it. So you need to find an online converter to convert the pdf to a word document. (you can find free samples of this type of software) To write on it draw a text box right click on it to format go to colors and lines make sure none is selected for fill and for line. Now you have made an invisible text box which you can use to type wherever you please on the document. The fonts used in this pack are learning curve and howser and can be found for free online at sites like dafont.com. and Kevin & Amanda's fonts You will also notice once you convert it that the images are individual jpgs. This is helpful if you would like to convert say your newsletter into its own file. You would copy and past the newsletter image into a new document and save as just your newsletter. You would insert the text boxes and such in the same way. We are so excited to bring you these materials we hope that you will love them as much as we do. We would love to see pictures of your classrooms using our products. If your pictures are used in a blog post we will offer you a discount on your next purchase. You can email your photos to simplysprout@gmail.com.....we love before and after shots! Happy Decorating! I love this! I just bought the dots on turquoise set from creative teaching press and this is perfect to go with it. From the pictures it looks like you used pink, but in real life the creative teaching press stuff is red. If I bought your items would they match?